Exporters!! 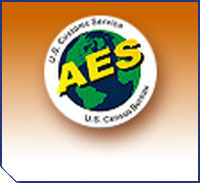 Find out more information about filing export information in the Automated Export System (AES) in accordance to the U.S. Census Bureau’s Foreign Trade Regulations, Title 15, Part 30. The AES filing requirements include filing timeframes based on the mode of transportation. It is important to understand these requirements to avoid COSTLY penalties.